More and more people are turning to cosmetic dentistry for smile enhancements including people with crooked teeth. 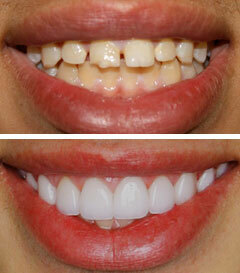 One can drastically change the way they smile by getting veneers for your teeth. The purposes of porcelain veneers are to improve both the appearance and health of teeth making them strong and durable. Porcelain veneers can help the teeth look natural and even whiten those dark yellow teeth better known as tetracycline stained teeth. Porcelain teeth help in shaping the teeth to desirable lengths, shortness, roundness, square or even bolder look. You need to know what porcelain veneers are. They are fine shells made of ceramic materials that are bonded on the front of a tooth. They are a great substitute and restorative for generally improving teeth appearance. Porcelain is greatly recommended to people who are looking for alternatives to crowns, those who want to change the color, shape, and size of the tooth. They also come in handy to people who suffer from teeth discolorations especially masking discolored front teeth. They are also used for orthodontics procedures and finally the elimination of gaps between the teeth. The procedure is simple and local anesthetic is used for the comfort of the client. One should keep in mind that porcelain veneers are not perfect replacements for your natural teeth. Porcelain veneers are shade stable and it’s imperative to note that they are shaded from the top to the bottom as in the case of natural teeth. 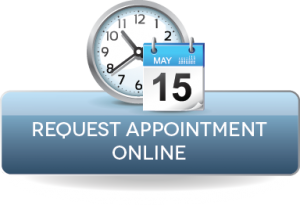 One will require a total of about three to four appointments from the diagnostic stage, planning the treatment, teeth preparation and finally the completion of the procedure. 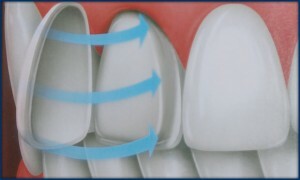 The diagnostic process includes the total examination of the mouth and x-ray and also the bite analysis so that the proportions of the teeth can be determined. The finished smile will be made up of a diagnostic wax-up so that the client can have a say on what kind of a smile they prefer. The next step involves preparing the teeth for veneering which involves shaping the teeth in accordance with the wax-up. A precise impression of your teeth is made and later sent to the laboratory for veneer fabrication. This takes two to three weeks depending on the work to be done and during this period, temporary veneers are installed for you. When it comes to dental enhancements, especially when dealing with matters relating to your beautiful smile, one needs to find an experienced and reputable dentist who has irrefutable experience in cosmetic dentistry and porcelain veneers in Sherman Oaks CA so that he can advise on the options available for your teeth and the cost you will incur during this procedure. Porcelain veneers should be considered as a permanent choice since they are not easily removable. One of the best porcelain veneers experts in Sherman oaks available near you are without a doubt Lasting Impressions Dental Spa doctors and have a successful rate of porcelain veneer procedures. You should visit them and get the best cosmetic dentistry approach which will best suit you in order to guarantee a healthy and beautiful smile.